This is my favorite Geek Chic shirt to date. I love the shiny pewter Millennium Falcons--perfect for the Han Solo Story Movie this week! "You've never heard of the Millennium Falcon? She's the one that made the Kessel run in less than 12 parsecs." I'm going to wear this shirt everywhere, it's so cool. The Millennium Falcon is the coolest ship in the galaxy...it might not look like much, but she's got it where it counts. 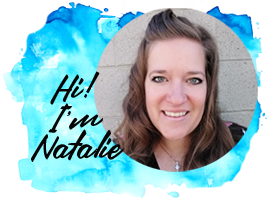 Supplies for this post are from Happy Crafters. Affiliate links included. 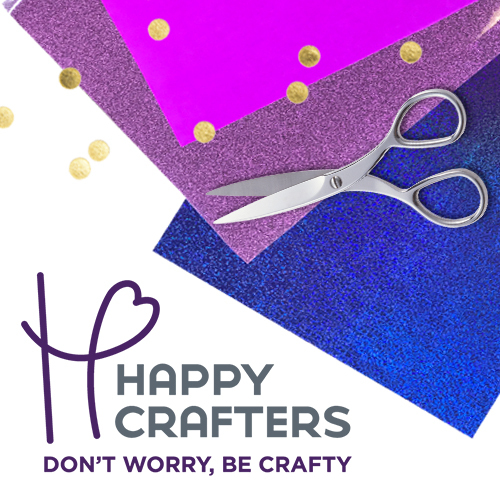 Happy Crafters has vinyl, iron on vinyl and all the best blank surfaces for crafting. They carry my favorite brand of t-shirt: District Made. They are soft, comfortable, and true to size. 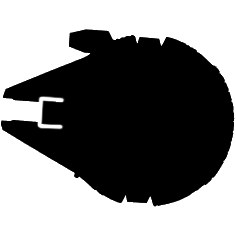 Right click to save off this little silhouette png of the Millennium Falcon. 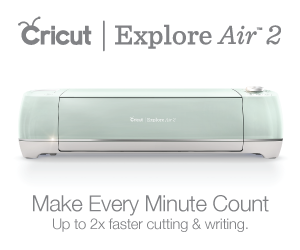 Load it into Cricut Design Space. Copy the shape and paste 48 times. 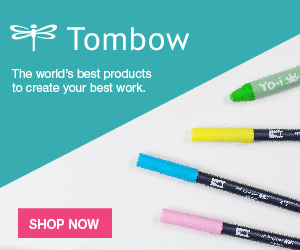 You do not need to arrange them perfectly, because Cricut will do that for you. Just click "make it" and it will line all those little ships up like they are ready to jettison into light speed. Click the mirror button, or don't...depending on which direction you want them to face. Place the vinyl on the mat with the plastic side on the sticky mat. Then cut the image. I set the Maker to "iron-on vinyl" and then the "more" depth setting. There is nothing worse than having your Iron-on vinyl not cut deep enough. Then remove the vinyl from the mat. Use the hook tool to remove the excess vinyl and discard. Cut apart each of the tiny ships. Arrange them on the shirt in a polka dot pattern. Start with one right in the front center of the collar and then build off of it from there. Get all of them arranged and press them down with your hand so the sticky plastic will keep them in place. Place the edge of the shirt on the EasyPress mat and set the EasyPress to 305* for 30 seconds on each section. Move the mat and the press until the entire shirt has been heated. Then turn the shirt over and heat the backside of the shirt for about 10 seconds in each quadrant. Turn shirt over and let the vinyl cool completely. After cooling, peel back the plastic covering and discard. It works best to slide it over itself. I love it! This shirt is ready for the premiere of the new Star Wars movie! I love the subtly of the falcons...and then calming pattern of the polka dots. It's a great geek chic shirt, like a shirt you'd buy at Hot Topic or some hip place like that! Aren't you excited to make your own!? I was originally inspired by the polka dot pattern by this pineapple shirt I did last year. Like, Save, Share, Comment, Follow and Pin for later! 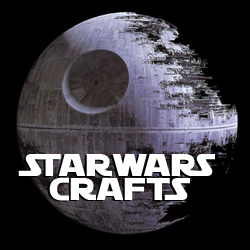 Check out these other fun Star Wars crafts too!